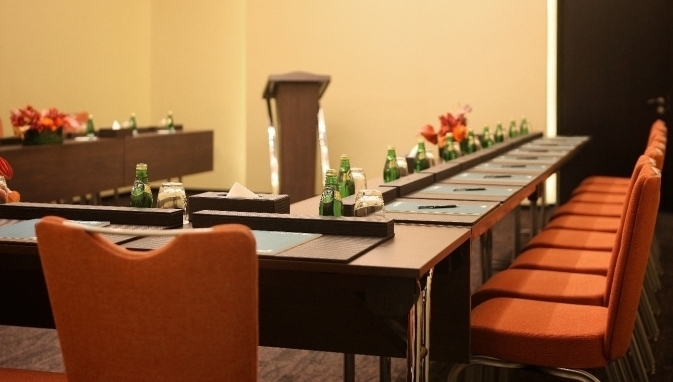 Supported by state-of-the-art technical equipment and a highly efficient team, the Cosmopolitan Hotel Dubai’s two multi-purpose meeting rooms, Victory 1 and Victory 2, are the perfect venues for a wide range of private and corporate events, able to host up to 50 guests. Our expertise and experience ensure a hassle-free and successful event. Whether it’s a wedding, a conference, or a birthday, choose the Cosmopolitan Hotel, Dubai as the venue for your next event.